Confused on why you should be using a VPN service? There’s several reasons why you should use one, starting today. Here’s a quick top five listing of reasons why they should be a high priority. When connected to the Internet, your IP address is a personal identifier that can easily be viewed by 3rd parties in order to identify you and your location. When using a VPN, you’ll receive a new IP address that is owned by the VPN provider. This new IP address will only show the geo-location of the VPN server you’re connecting to rather than your true location. Additionally, with the encryption that a VPN provides when connecting to the Internet, you can maintain your privacy and speed by keeping your ISP from inspecting, prioritizing, and throttling data sent to and from your device. Using a VPN is a great way to increase and maintain your security whenever you are connected to your Internet. By connecting your online device to a VPN, you’ll encrypt the data sent to and from your device. Encryption scrambles the data so it cannot be deciphered by your Internet Service Provider, the web-servers you’re trying to reach when browsing online, or any nefarious 3rd party who is trying to intercept your data. Accessing the Internet at your local coffee shop over their public access WIFI? Your Internet usage can be spied on over their air by someone in the same room and you won’t have any idea it is happening. All they have to do is pretend to be on their phone while they use a snooping tool to spy on all Internet activities happening in the room. If you use encryption provided by a VPN, they won’t be able to decipher what you are doing. By using a VPN with top-tier encryption, you’ll ensure that your personal and business communications are private and out of the hands of 3rd parties who would normally have access to your information. Unfortunately, popular sites and services online are often blocked in certain regions based on a user’s IP geo-location. For example, Netflix is inaccessible in many countries around the world, and in countries where it is available, many of the shows and movies in the American Netflix library are unavailable unless you have a US IP address. By using a VPN with server locations all over the world, you can connect to servers and receive an IP address that is geo-located within that region. This will allow you to access content and services that would normally be blocked based on your IP address. This also allows you to access your favorite sites and services from home when travelling or living abroad! It’s no secret that large ISPs are not always interested in what is best for their users. This has been seen in the past for example when American ISPs throttled users’ connections when accessing Netflix. One individual noted that his Netflix speeds were significantly faster when using a VPN. When using a VPN service provider, you are routed through the VPN provider’s network. Larger providers often have bigger networks with more peers, which allow your traffic to take the optimal, fastest route to the destination you’re trying to reach. Golden Frog, the team behind VyprVPN, in particular owns and maintains its own network in addition to its own DNS service, VyprDNS. Due to the scope of their network and the large number of servers they offer, users can bypass ISPs’ congested networks and take one of any optimized routes on their network in order to deliver the best speeds when browsing or using online services. Unfortunately, 4/5 people in the world do not have access to an uncensored Internet. In places like China, Turkey, Southeast Asia, and the Middle-East, online censorship is pervasive and popular services like Google, Twitter, Facebook, and western news sites are often banned outright and inaccessible. Even in other nations with less pervasive censorship laws, they still censor select sites, content, and services that they deem unfit for the general population. With a VPN, you can take back your Internet freedom. Simply connect to a VPN server located in a country with no online censorship and access the unrestricted web as if you were actually located in that country. So for individuals that live in or travel to regions with a restricted Internet, they can use a VPN in order to access a true, uncensored Internet. Get a VPN from a Top Five Advisor Award Winner! 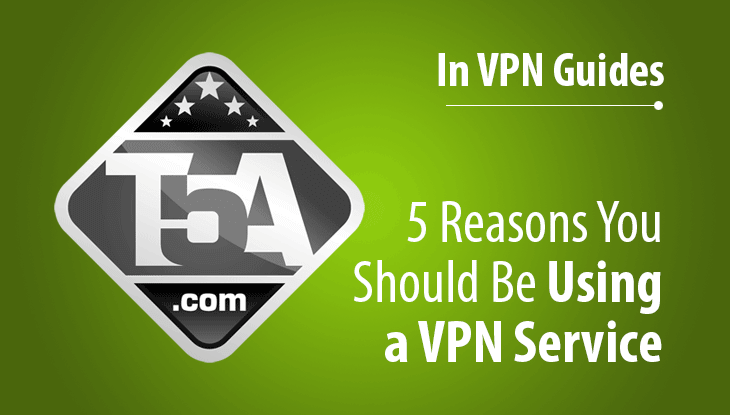 Here at Top Five Advisor, we recommend VyprVPN. VyprVPN is run by Golden Frog, the team that has been fighting for an open Internet since 1994. With VyprVPN, Golden Frog offers a premium VPN service with 50+ server locations, top level encryption, and a network that is 100% owned, operated, maintained by the Golden Frog team. With Top Five Advisor’ exclusive special, you can get your first month of VyprVPN service for 50% off! We highly recommend reading our VyprVPN review to claim this offer. This guide or review brought to you by the editorial staff at TopFiveAdvisor. The editor team and this page is managed by Scott Buehler.